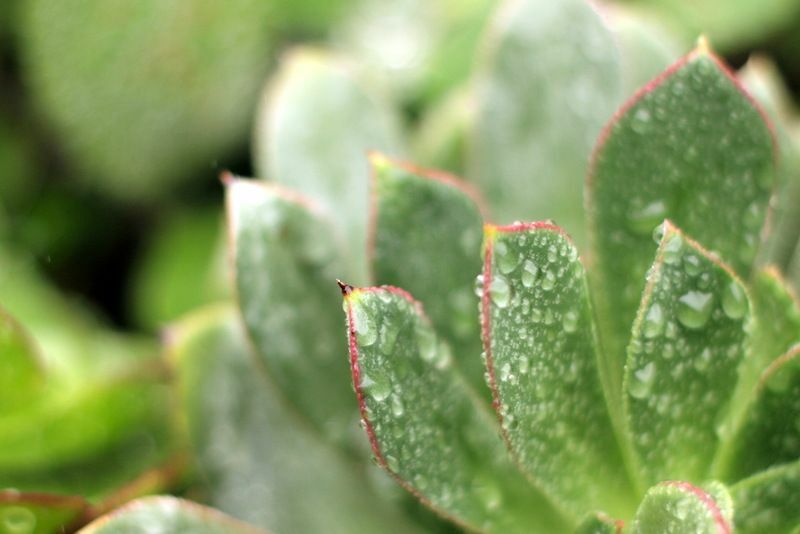 One of the perks of winter in a Mediterranean climate is stooping over plants, cup of coffee in hand, hair spangled and frizzed with rain, inspecting the beneficent aftermath of the previous night’s rainfall on the garden. Which are some of the loveliest effects to be had anywhere. 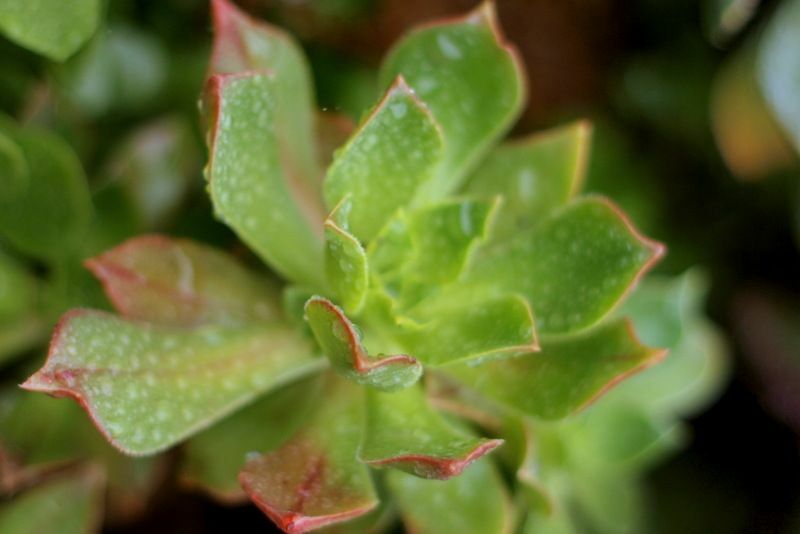 Growth, succulence, life. A dry summer is guaranteed in a Mediterranean climate, but winter rainfall can often be disappointingly less than our average of 15 inches. 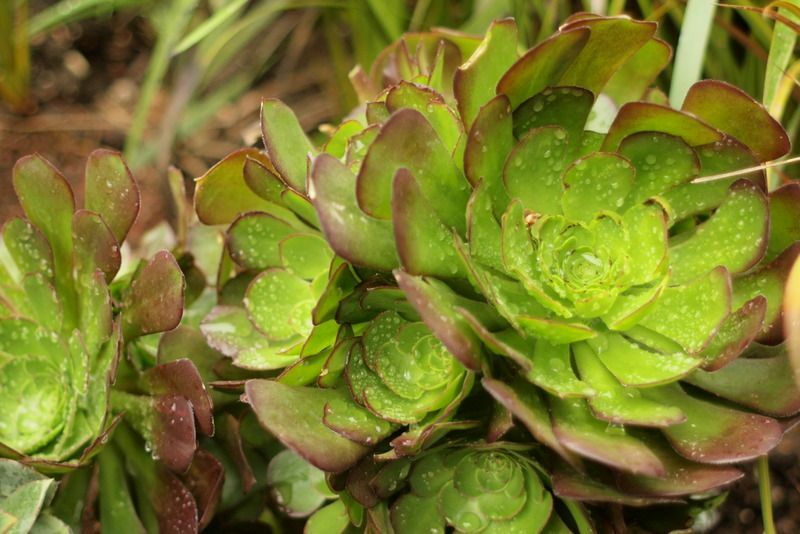 Last fall I gathered up a bunch of aeoniums in my garden, five different kinds, most of them sporting their shriveled, end-of-summer, traumatized look, and plopped them into a bed right off the back porch steps in anticipation of their winter show. 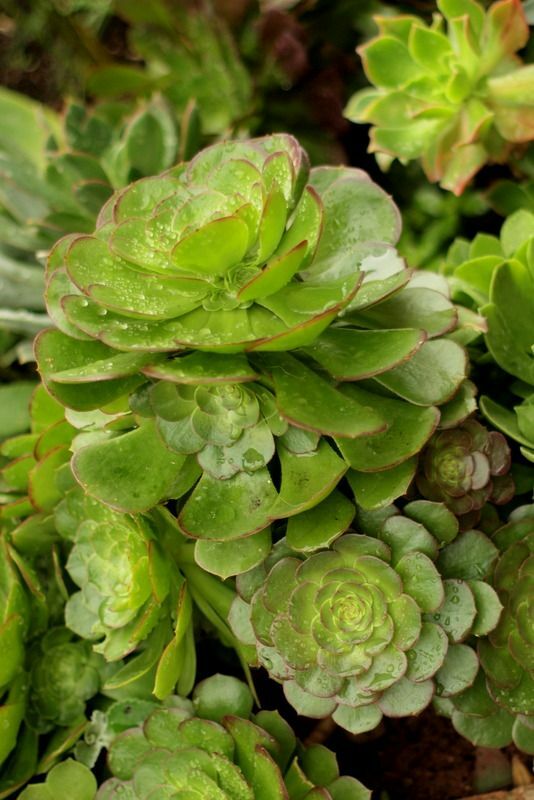 Though many aeoniums will continue to grow and hold it together in summer, the cool temperatures of a zone 10 winter are what really make them fat and happy. (I don’t know about happier, but I can identify with the effects of winter relative to the former.) Since they’re already overcrowded, I’ll dig them up for summer again and probably move them back into pots, but for the winter, their best season, I wanted to keep these hypnotic rosettes close at hand. There’s not a dramatic dark red one in the bunch, just subtle differences in the leaf shapes, edging, and shades of green. I often buy them unnamed. But now that they’re plump and gorgeous, it’s bugging me that I don’t know their names. As opposed to when they were shriveled and gaunt in summer, when I didn’t care. It definitely has a bluer cast to the narrow leaf, with a delicate pink edge. The color of the flower will help with identification. This one is bright green with a carmine edge extending in a faint stripe down the middle. 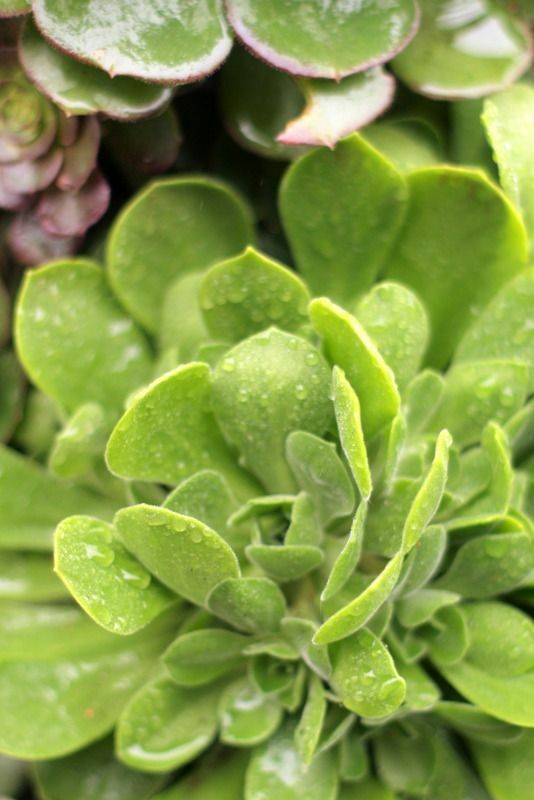 Possibly the common Aeonium haworthii? I bought it as Aeonium rubrinoleatum but can’t confirm the name. 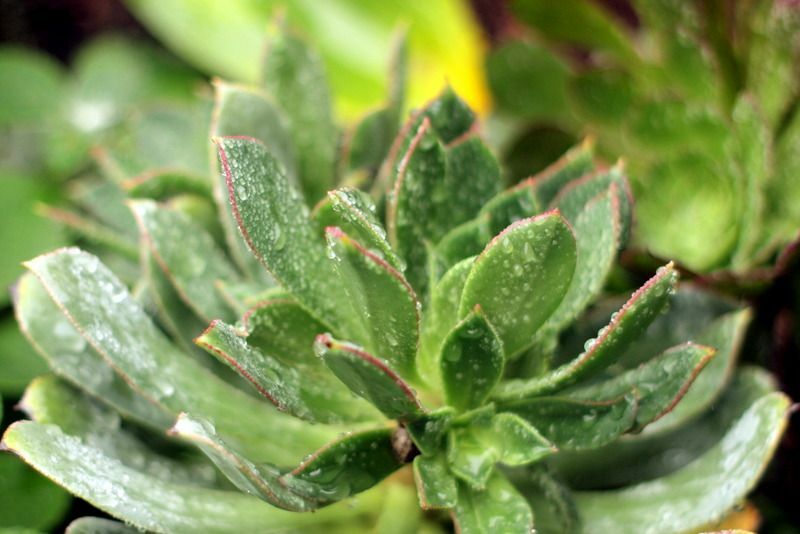 And I suppose the name isn’t really all that important anyway, because there’s no such thing as an ugly aeonium. 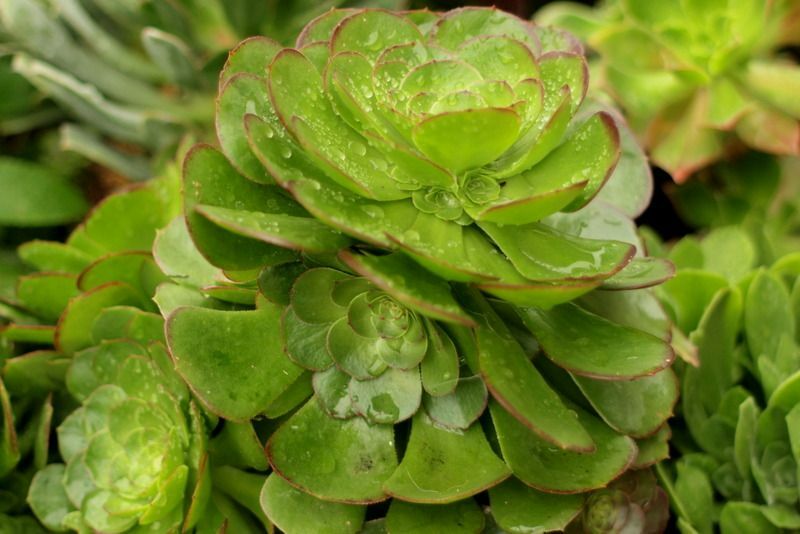 This entry was posted in succulents and tagged Aeonium arboreum hybrids, Aeonium balsamiferum, aeoniums, Mediterranean climates, succulents. Bookmark the permalink. I love these photos. I agree. 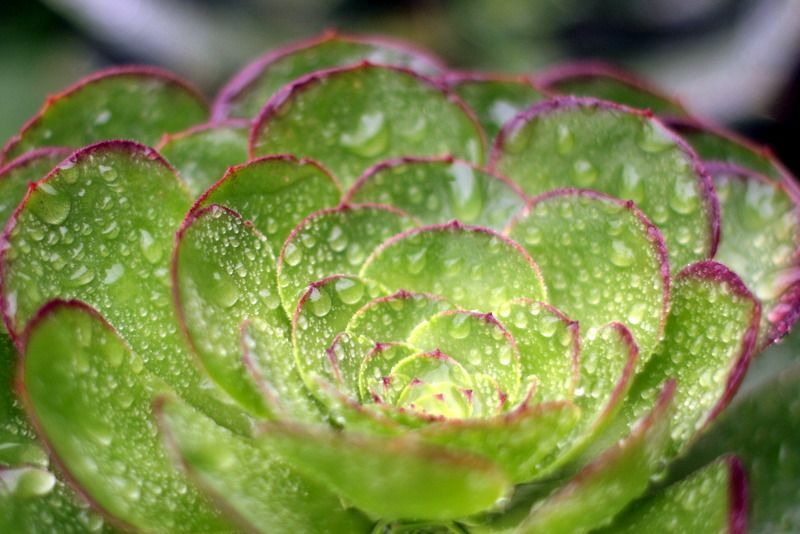 There is no such thing as an ugly aeonium. What marvelous little plants. 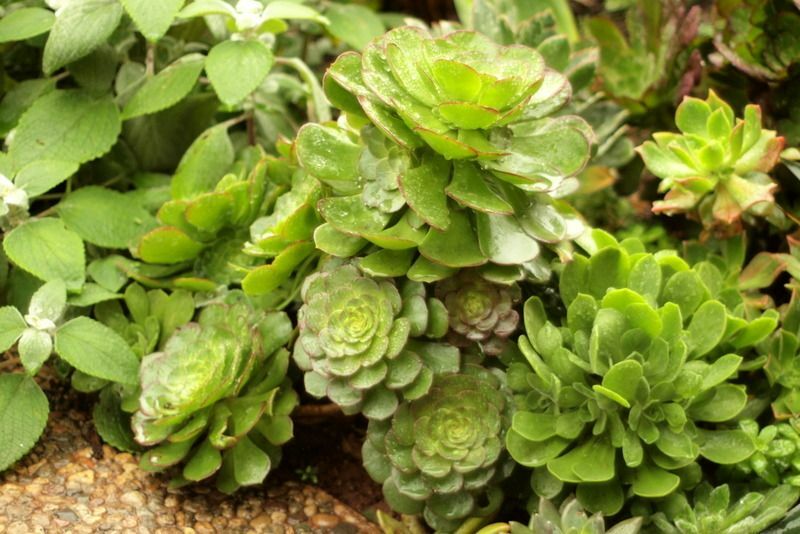 In the absence of their botanical names, maybe you can give the aeoniums fanciful nicknames based on your own distinctions. After all, T.S. Eliot said cats have 3 names – an everyday name, a fanciful name, and one they keep entirely to themselves. Who says plants can’t be the same? 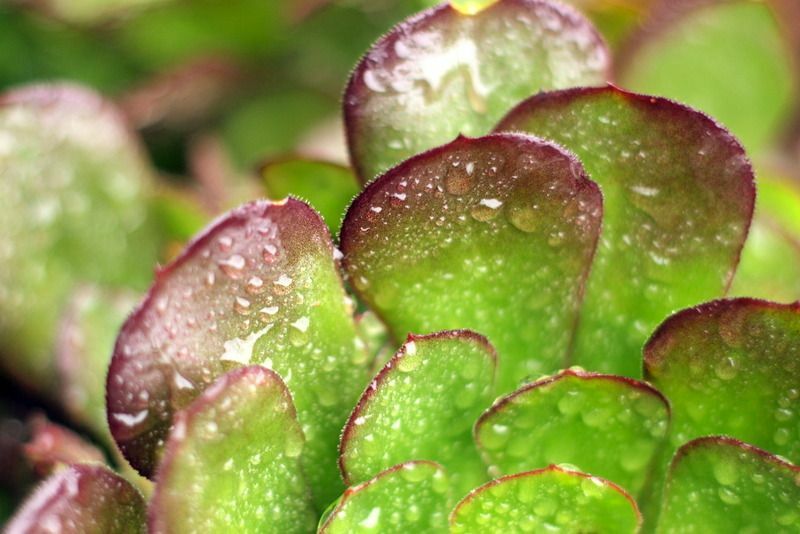 It’s funny, my aeonium arborensis is happiest in fall up here in Oregon. They just etoliate and sulk on the windowsills till spring. 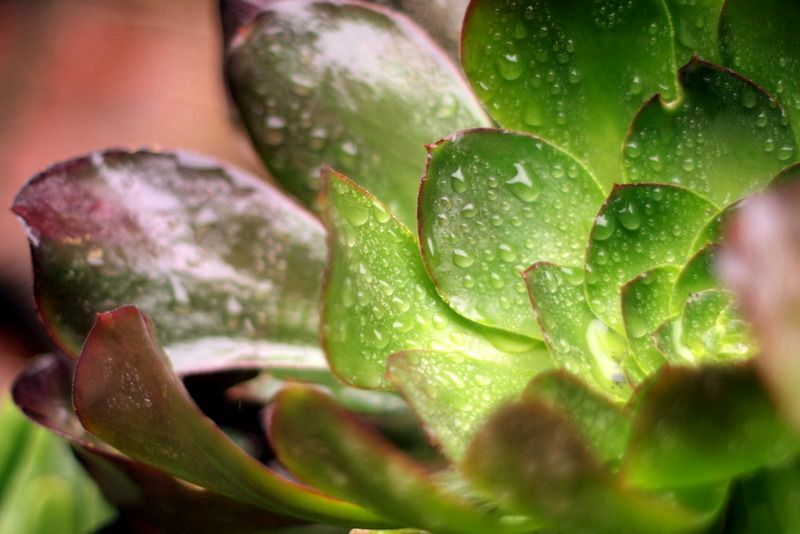 @Susan, they really put the “succulence” in succulents, don’t they? @Kris, I think Eliot underestimated the number of names cats have. And when plants can purr, I’ll happily give them fanciful names! @Patrick, mine get that etiolated, long neck in summer. They look their best now, which is when the snails start paying attention too. Hi. 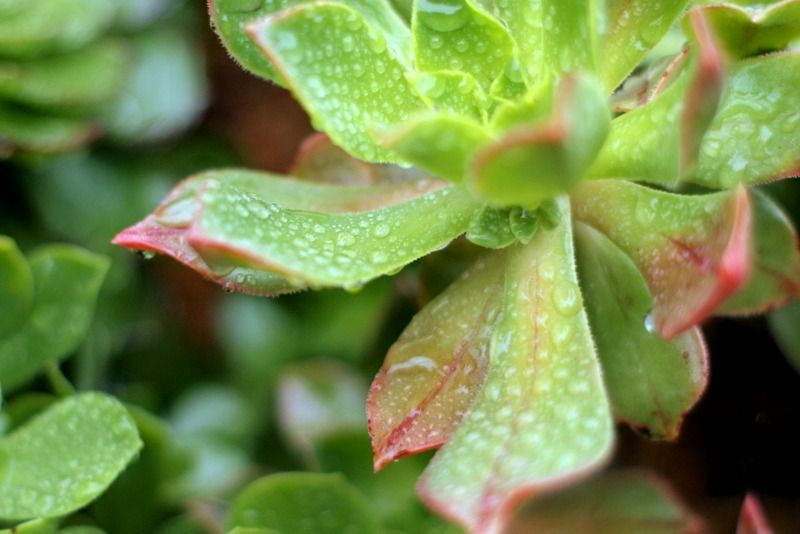 I’m looking for an aeonium that matches the red on hellebore ‘jade tiger’ and your pictures seem perfect, but since it’s an unnamed hybrid I can’t find it anywhere. Could you help me out?